Is your handlebar overcrowded? No space to add more accessories? 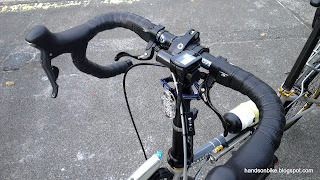 Then you will need a handlebar extension mount! Normally MTB handlebars are pretty long, at >650mm long, so there is no problem putting multiple lights / bell / speedometer / GPS / speaker and etc all onto the MTB handlebar. However, road handlebars such as drop bars are much narrower, at <440mm wide. 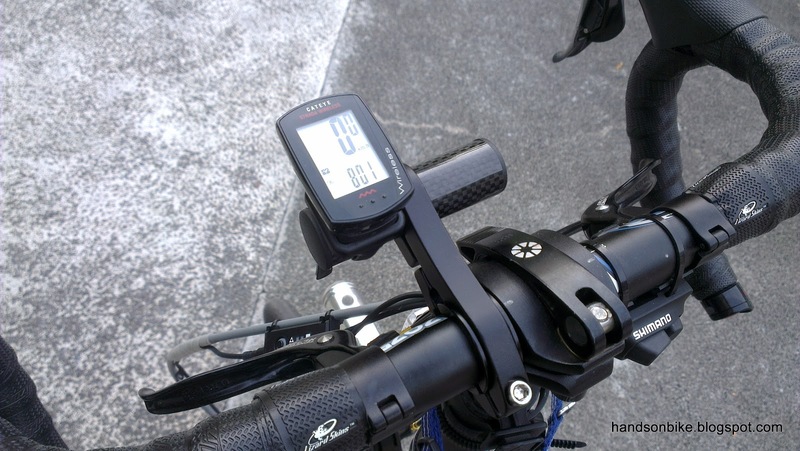 This means a very limited space on the handlebar for you to mount accessories. Of course, you wouldn't usually mount many items on a drop bar, since a bike with a drop bar is probably meant to go fast and it would have a minimum number of accessories on it. 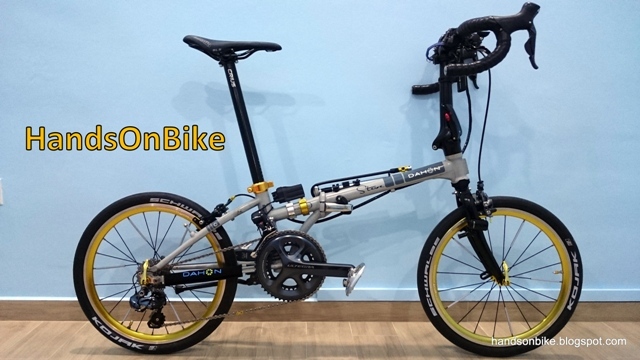 For my Dahon Boardwalk, I am using a drop bar, and the space on the handlebar is quite restricted. As you can see from this picture, I have secondary brake levers, which takes up quite a bit of space. 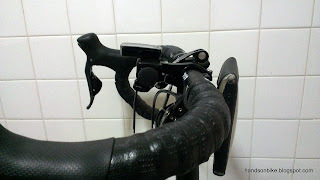 Also, I have the satellite shifter for my Ultegra Di2 system, which takes up the entire right side of my handlebar. 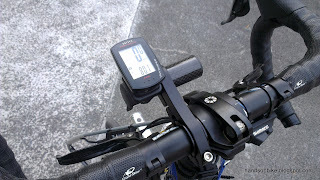 The Cateye Strada Wireless speedometer takes up some of the remaining space on the left side of the handlebar. Very limited real estate space on my handlebars. 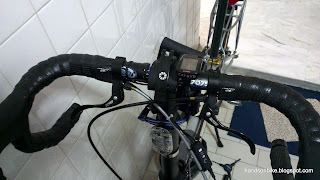 Besides the powerful Lezyne Super Drive XL front light that is mounted on the front fork, I have also installed a Cateye front blinker on the handlepost. You can spot it at the pictures above. This means that the front lights are already located away from the handlebar. I have a new accessory that I plan to install on the handlebar, but given the limited space, where can I install it? 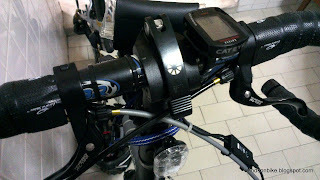 The Di2 satellite shifter cannot be moved, and the speedometer needs to be there or I will not be able to see and use it. The only solution I can think of is to create more space on the handlebar! But how? This situation calls for the handlebar extension mount! 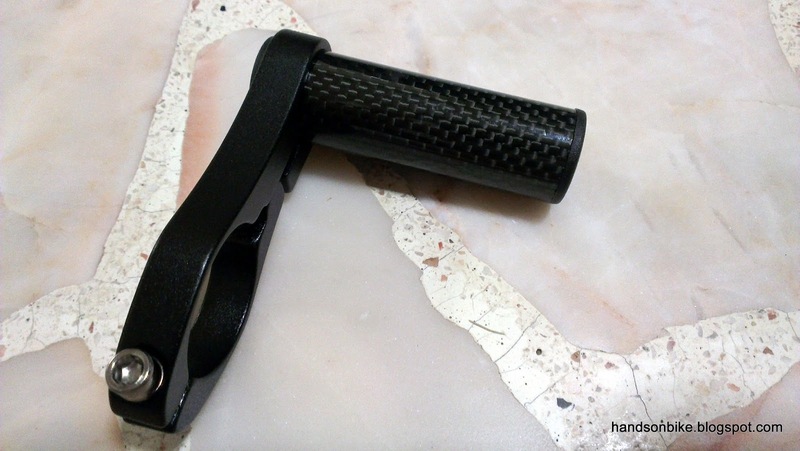 I think this is the generic name for this type of handlebar extension, as there is no standard name for it. Let's take a look at what it is and how it works. Handlebar extension mount. Comes with an aluminium clamp for 31.8mm handlebars, a 22.2mm carbon fibre tube and 2 sets of shims (for 25.4mm and 26mm handlebars). 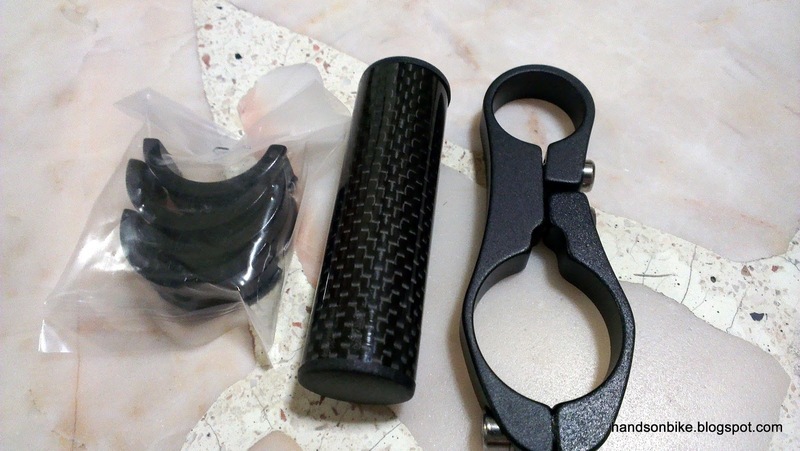 The carbon fibre tube is of diameter 22.2mm, similar to the diameter of a flat handlebar. If you need a longer one, just cut from a standard handlebar. Side view of the installed extension mount. 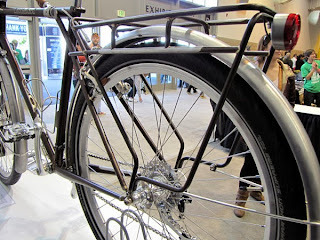 The base of the extension mount is clamped onto the handlebar. My Cateye speedometer takes up half of the extension. Half of the extension mount is now unused. Awaiting the installation of a new accessory! 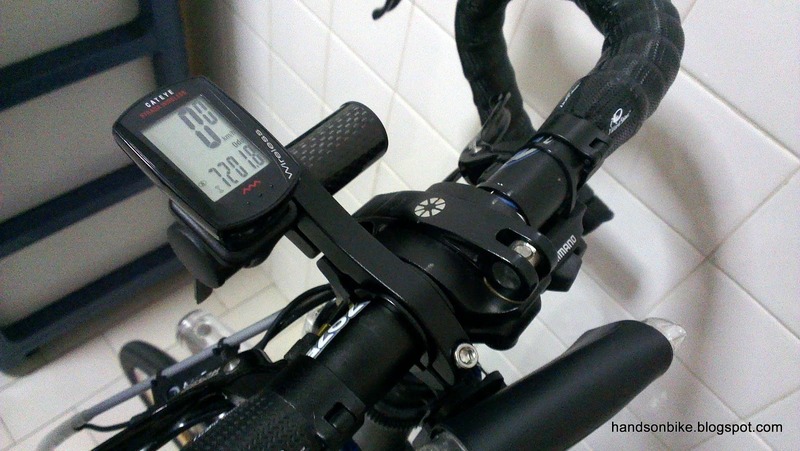 Many people have asked about the handlebar extension mount, and where it can be found. Since I am not sure where it can be found locally, and I have no time to go search for it, I decided to search and buy it online. Here are 3 sources where you can get the extension mount. Quite pricey, but the quality is good. Ships from Taiwan via FedEx and is super fast. I got the mount from this website. Exactly the same mount, ships from US, and thus will be pricey and also take longer. I only found this at Taobao after I had already ordered from BDOP Cycling. This is cheaper, and the anodised coloured aluminium mounts look really good. Great for adding some coloured bling to your bike! So what is the accessory that will be installed on the extension mount? It is not a Garmin GPS unit or a GoPro camera (although these are good suggestions!). It will be revealed once the trial is successful!